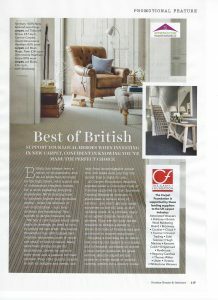 Support your local carpet experts is our mantra – and we are delighted to announce that we are are embarking on a 12 month programme of one page advertorials in leading home interest magazines. 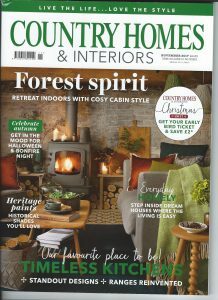 The first advertorial in the current issue, on sale now, of Country Homes & Interiors, focuses on buying from our retailers – the local experts when it comes to carpet. The magazine is bought by 68,942 consumers so we are getting the message out there that our members are the best! We will be reproducing this as Point of Sale for all our retailers and this will be sent out next week. We will be addressing various topics in the 12 months including asthma, why not to buy online and underfloor heating. Our intention is to tackle, head on, those issues that we know are pertinent to consumers. Next month in Ideal Home, the UK’s best-selling home interest magazine, we tackle asthma and dispel the myths.